So You Say You Want a Wine Revolution? by mywinepal • May 22, 2016 • Comments Off on So You Say You Want a Wine Revolution? You know we all want to change the world, and wine making is one of those areas that has been undergoing a revolution to past wine making techniques recently. 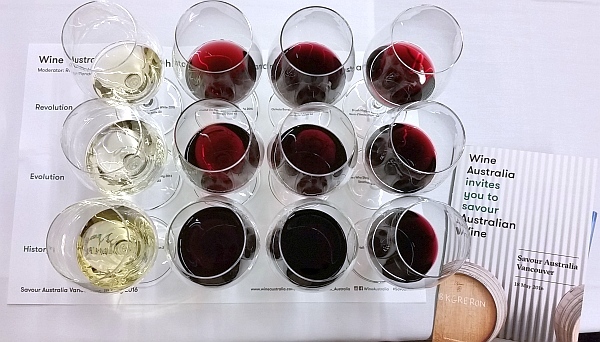 I attended a seminar on the past, present, and future of Australian wine making, and it was interesting to see changes that are going on in this country, but it can as well be seen in other countries, even Canada with our relatively recent wine making history. Australia has been making wines for 180+ years, starting with planting of the first vines in the Hunter Valley in 1828. Fortified wines exported to the UK in the beginning, slowly lead to the modern wines that we know today. The seminar I attended briefly reviewed Australia’s wine history and the classic wine styles that you normally think of with Australian wine, followed by the evolution of style to something that fits with our current tastes, and finally to look to the revolution in wine making where some wine makers are willing to try things like producing natural wines in amphora. 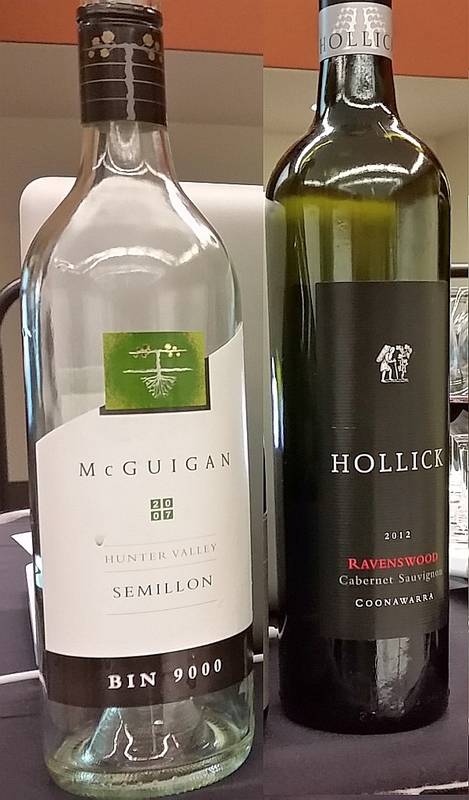 Two examples of classic, or historical style wines are represented by: McGuigan Bin 9000 Semillon 2007 from the Hunter Valley and Hollick Ravenswood Cabernet Sauvignon 2012 from the Coonawarra in South Australia. Semillon and Cabernet Sauvignon are classic grapes grown in classic areas of Australia. Semillon has made its mark with its production in the Hunter Valley, where as a young wine it is quite tart and citrusy, but then given time to age, at least 5 years if not longer, the wine mellows and takes on an oaky character, which you would never expect. Cabernet Sauvignon does exceptionally well in the Terra Rossa (red soil) in a narrow strip of South Australia, known as the Coonawarra. This special strip of soil of red clay overlaying limestone produce wine with great fruit character, have a distinctive dusty tannins mouth feel, and can age for many years. 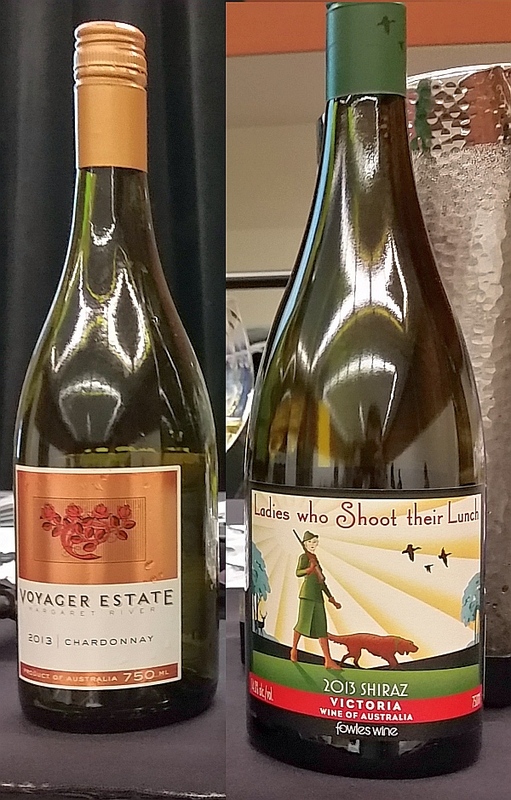 Picking two wines that represent evolution, I have Voyager Estate Chardonnay 2013 from Margaret River and Fowles Ladies Who Shoot Their Lunch Shiraz 2013, Strathbogie Ranges. I think in evolution, you are looking at lighter styled wines, e.g. not big heavily oaked Chardonnays of the past, or over extracted red wines that all start to taste very similar, losing some of their unique flavour profile. Here we get into the use of one or more methods or types of grapes out of the usual range for Australian wine (or for wines right here in BC). 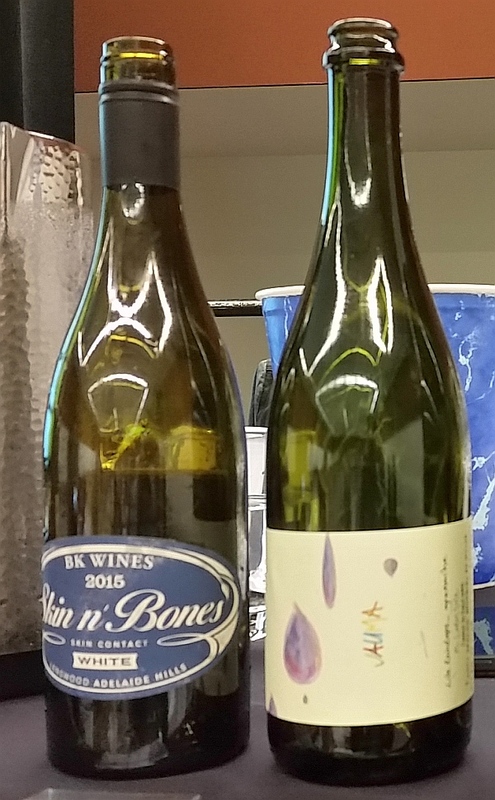 The two wines that I pick from this category are the BK Wines Skin n’ Bones White 2015 from Adelaide Hills, and the Jauma Like Raindrops Grenache 2015 from McLaren Vale. This production of naturally produced wines, with minimal intervention is a growing trend around the world. I tasted some very interesting wines in the “Revolution” category and hope that we have chances to try more in the future here in Canada. As noted, there are natural BC wines produced by wineries such as Okanagan Crush Pad and Laughing Stock. So try out natural wines from near and far, and see how you like them, and how they are different from traditionally produced wines. Don’t forget about the benchmark, traditional style wines as well. They have stood the test of time and offer a quality experience.